Learn about auto transport to Mauritania and get a FREE quote from A1 Overseas International by calling 1-800-450-5319 or filling out the form! There is no better way to get your vehicle to Mauritania than by hiring an experienced and reliable international auto transport company. By hiring professionals, you can remain confident that your automobile will be permitted into the country without too many obstacles. There is so much entailed in overseas shipping that it nearly impossible to get a vehicle there any other way. Perhaps the most meticulous part of the entire shipping process is beginning where all of Customs requirements must be met. This includes preparing all proof asked for by the department. To learn about the auto import and export policy for the country, call the Embassy of Mauritania. They will gladly inform you of the most current policy in place. During the step by step process of shipping, keep a checklist and accept help from the professionals you hired to administer the shipping process of the automobile. They will help you out with everything before and during the vehicle shipping process. This only assures the certainty of the vehicle being imported into the country. 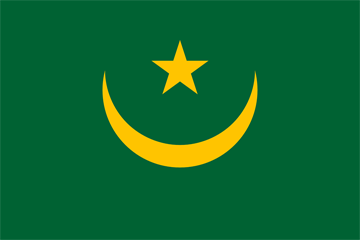 If all regulations are not met, the vehicle will be denied access into Mauritania. Call 1-800-450-5319 today for more information and a FREE price quote on boat, motorcycle and car shipping!